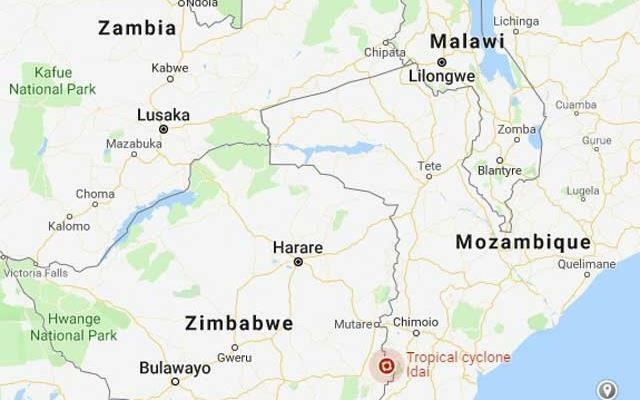 Areas devastated by Cyclone Idai last week are continuing to count the storm’s cost as the number of confirmed dead rises. At least 139 deaths have been caused by the cyclone that swept across Buhera, Chimanimani, Chipinge, Makoni, Mutare rural and urban, Mutasa and Nyanga — a number expected to increase further. Officials are still trying to find more than 189 people believed to be unaccounted for. Most of the missing are said to be elderly, disabled or lived alone, and officials have created a platform for people to report friends and loved ones missing. The storm destroyed buildings and flattened communities as it tore largely through the Manicaland region. The trail of destruction left by Cyclone Idai is almost everywhere – the ruined buildings, swept away bridges, uprooted trees, twisted signs and billboards. President Emmerson Mnangagwa visited the storm-affected region on Tuesday and Wednesday. As of yesterday morning, several homes and businesses were still reported to be without power. There are difficulties accessing hard-hit areas and poor mobile phone coverage means they are moving very slowly. “We are still trying to rescue those who are marooned and we are trying to identify, get all the figures of Zimbabweans that are still missing,” Information ministry secretary Nick Mangwana said. “We are digging up all the places that have been ravaged by landslides to account for everyone that is missing,” he said, adding he could not yet authoritatively confirm reports that some bodies were washed into Mozambique. Authorities said 4 313 people were believed to have been displaced by the floods, with 144 injured while 19 are critically ill.
About 74 bodies are said to have been buried while 189 are still missing. Fungayi Chinyayi, a villager from Dzingire Growth Point, popularly known as Kopa in Chipinge — which is one of the hardest hit — told the Daily News that only about five houses were left standing in the area while more than 60 houses were ravaged by the floods. He told the Daily News they fear most of the missing residents from Dzingire have been washed into Mozambique by floods while several could be dead and buried under huge debris that now occupies the growth point. “A few houses were left near Mutambara and there are around 49 people who survived, 10 injured,” said Chinyayi, naming some of the villagers who have gone missing and those who are still alive.